Twenty years ago, Daphne and Steve Izer received news that would change their lives forever. Their son, 17-year-old Jeff Izer, had been killed in an accident on the Maine Turnpike. While parked in the breakdown lane, a tractor-trailer rolled over on Jeff’s small vehicle. The accident killed four teens, including Jeff’s girlfriend, sixteen-year-old Angie Dubec. A fifth teen was seriously injured. In the aftermath of the tragedy, Jeff’s parents spent several days believing that their son had only partially pulled into the breakdown lane prior to being hit by the truck driver. Investigators noted that the tractor-trailer left no skid marks before running into the teen’s vehicle and that there were no readily apparent signs of evasive maneuvers before the impact. This led to a false conclusion about the true cause of the accident and left Jeff’s parents believing that his vehicle had been parked incorrectly in the breakdown lane. But within a few days, the grieving parents learned the truth about their son’s fatal accident. Jeff’s car was parked as it should have been in the breakdown lane, off of the busy Maine Turnpike. The true cause of the accident was the driver of the truck who hit Jeff’s vehicle, who had fallen asleep behind the wheel of his tractor-trailer. A thorough investigation into the truck driver’s log book later revealed that he had falsified his records and driven more hours than was advisable or safe. Four beautiful, promising young lives were lost that day on Maine’s Turnpike, all because a truck driver was too sleepy to drive safely. Then, in an effort to mask the truth, his driving hours were falsified. After their son’s tragic death, the Izer’s became tireless advocates for highway safety. They founded an advocacy organization one year after their son’s tragic accident, Parents Against Tired Truckers (P.A.T.T.). PATT went on to form a partnership with The Citizens for Reliable and Safe Highways (CRASH) Foundation. Now, both foundations work together under the national umbrella of the Truck Safety Coalition. The tireless work of the Izer family and their safety coalition is an important effort to raise public awareness of the dangers of drowsy driving, not only for other motorists but for hardworking tractor-trailer drivers themselves. Unfortunately, fatigue among our nation’s truck drivers is a trend that is increasing rather than decreasing. Current studies show that truck crash fatalities have increased for the third consecutive year. A 2012 National Highway Safety Administration (NHTSA) study indicated that truck crash fatalities increased in 2012 by 3.7%. This marks a three-year trend of increased risk of truck crashes; the overall increase included a 9% increase in truck occupant fatalities. This alarming trend demonstrates that large trucks are indeed a serious safety hazard, not only to other motorists but to truckers as well. Studies by the Federal Motor Carriers Safety Administration (FMCSA) reveal that 65% of truck drivers have reported that they sometimes or often feel drowsy behind the wheel. Over half of the truck drivers surveyed admitted that they had actually fallen asleep behind the wheel in the previous year. The FSCMA estimates that truck driver fatigue is responsible for at least 13% of fatal crashes. This number, however, is likely a gross underestimation. Drivers may not be aware that they are fatigued, or may not report their fatigue to police. Izer’s foundation is working hard to keep Maine highways safe and continues to fight for legislation to keep fatigued truck drivers safely off the road. Their organization recently raised an alarm when hours of service (HOS) that truck drivers are permitted to drive was slated to be increased. According to the organization founded by the Izer’s, “…the TRUE Safety Act (the Act), H.R. 3413, will lengthen the already excessively long hours that truck drivers work each week and will promote truck driver fatigue.” The Izer’s note that an increase in the number of hours tractor-trailer drivers spends behind the wheel endangers the lives of motorists, along with the hardworking drivers of the trucks themselves. As the economy continues to improve, more and more tractor-trailer drivers are expected to travel our nation’s highways. Traffic fatalities due to drowsy truck drivers will likely increase unless police and legislators do everything in their power to stop truckers from driving when they are overtired. Driver fatigue is notoriously difficult to detect because it is self-reported. There is no reliable test of “Breathalyzer” to indicate if a driver was drowsy at the time of an accident. 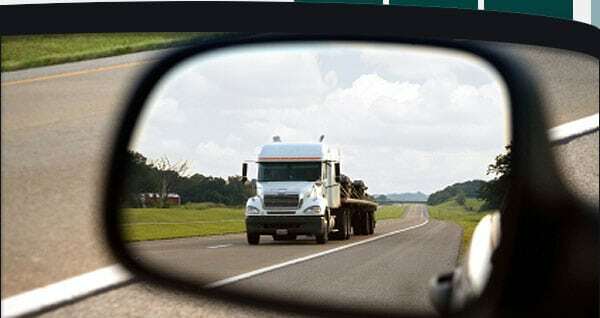 Additionally, truck drivers may underreport or lie about their fatigue, the number of hours they have driven, or simply be unaware that they were too tired to drive at the time of an accident. But let there be no doubt: drowsy tractor-trailer drivers are the cause of many fatal traffic accidents. If you or your family has been injured in an automobile accident with a tractor-trailer, and you suspect drowsy driving may have been a factor, please contact the experienced personal injury team at Hardy, Wolf and Downing. Our personal injury attorneys know what questions to ask, how to ask them and have the experience necessary to properly assess your case. With confidence, compassion, and personal injury expertise, the Hardy, Wolf and Downing team will help ensure that your family receives just and fair compensation you deserve. An accident with a drowsy or fatigued truck driver can change your life forever. You deserve a legal team who will protect your right to fair and just compensation for your injuries. Rest assured, the Maine Hardy, Wolf and Downing personal injury team will fight hard for the rights of your family.